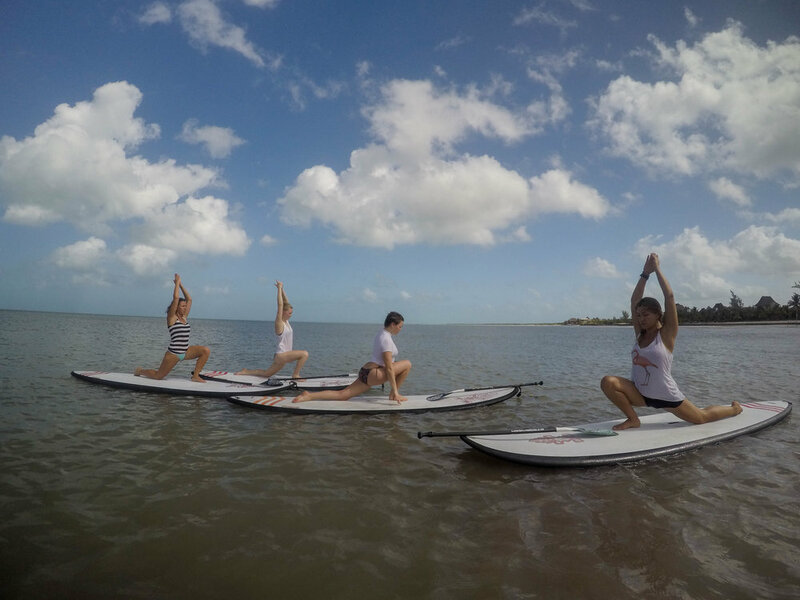 Though you may find yourself taking a lesson under a willow tree, in a modern gym, in the comfort of your own living room or even on the water on a paddle board overlooking the Alps, the teachings remain true to how her masters taught her. Alex combines contemporary techniques to accommodate her students using, sound, props and scents in a straightforward language to explain the philosophy behind the practice. She designs her lessons for anyone, from all walks of life, the stiff, the bendy, the ambitious, the jaded, the martial artist, the elderly, the patient in recovery, the businessman, the householder, the philanthropist and the young and confused! Discover, experience and relish the benefits of asana, pranayama, dhyana and Nidra with Alex in French, English or Spanish. YOGA FOR THE AMBITIOUS, THE CONFUSED, THE FRUSTRATED, FOR THE LEFT-HANDED, THE LOW IMMUNE SYSTEM, THE ANGRY, THE ANXIOUS, THE BENDY, THE OPEN MINDED, THE SKEPTICS, THE DUDES, THE ELDERLY, THE ADDICTS, THE AVATARS, THE ORDINARY, THE EXTRA-ORDINARY, THE TERRESTRIAL, THE DREAMERS, THE DOWN-TO-EARTH, THE BEGINNERS, & THE ADVANCED. Alex is a 500Hr certified instructor, practicing for 9 years and teaching for half that time. She is a yoga instructor in touch with you and this world. Alexandra a tri-lingual world citizen born into the corporate world and emancipated to the anatomical and metaphysical world of Yoga and Ayurveda. She will teach you and awaken you. A practitioner for 9 years and a teacher for half that time she is, certified with Yoga Alliance (RYT200 & RYT500). Alexandra B.Leaver's first introduction to teacher-hood was in Boulder, Colorado, USA with Core Power Yoga, thanks to amazing yoginis, Steph Schwartz & Derise Anjanette. But it wasn't until Alex reached the Himalayas of Nepal and encountered Dr Chintamani Gautam in 2014, where the real discovery of self realization began. The abundant wealth of knowledge bestowed by Dr Chintamani, with his love for philosophy and mantra singing allowed her to mature into the teacher she is today. 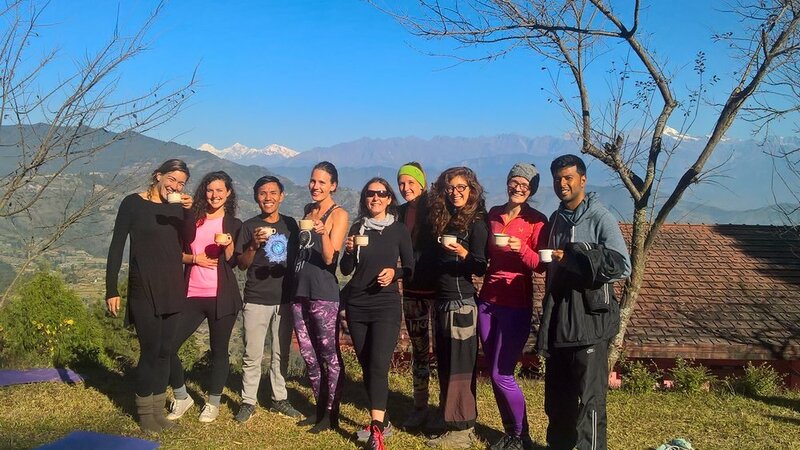 Through the practice of 108 Sun Salutations, Pranayama before sunrise, Asana at dawn, in a rigorous environment surrounded by temples and auspicious sites, she discovered above and beyond what Westerners consider Yoga. She was offered the amazing opportunity to stay on alongside Dr Chintamani and other renowned masters & scholars of the country such as Yogacharya Subodh Simkhada, Dr Bishnu Patel and Swami Padmasattva. She also spent many months intensively with both Dr Subodh, a professor of naturapathy and Dr Vishnu D Patel from the National Ayurveda Research Center in Nepal. She then co-wrote the first YTT manual with other devotees and Dr Chintamani himself. Which, in turn, gave her the skill-sets and confidence to jointly conducted three 200hour teacher-training at Nepal Yoga Retreat & Academy, with Dr Chintamani as his assistant and official disciple. 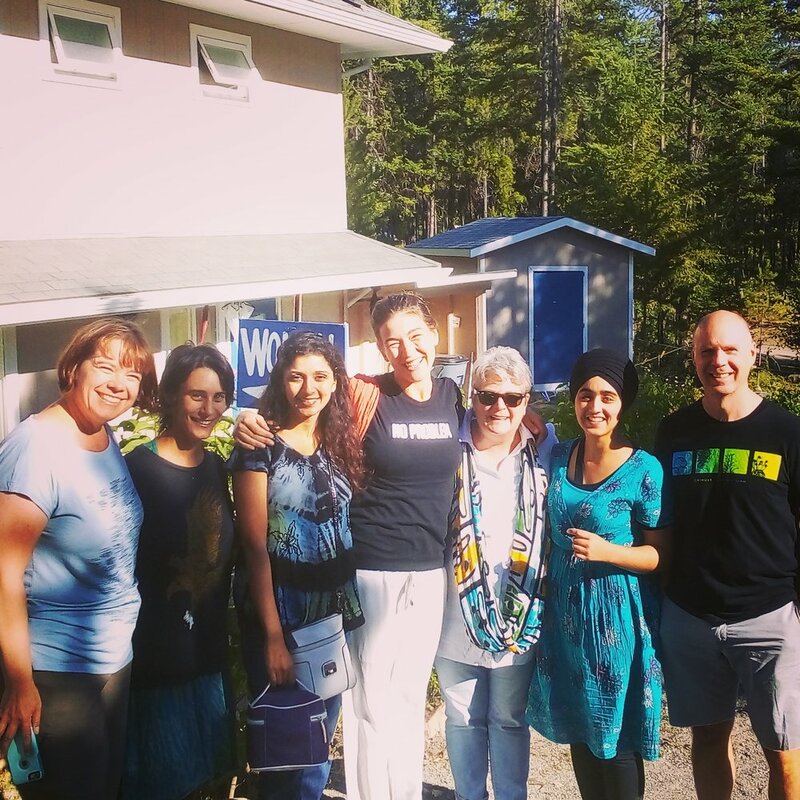 In 2015 she was invited by Yogacharya Subodh Simkhada to conduct another YTT, this time at Himalaya Yoga Academy. Shortly after, she attended her first 10 day Vipassana which took pace right before the earthquakes forcing her to leave the beautiful Himalayas and grow on her own on an incredible island she discovered on the north shoulder of the Yucatan Peninsula, called Isla Holbox, where she started her own yoga business. 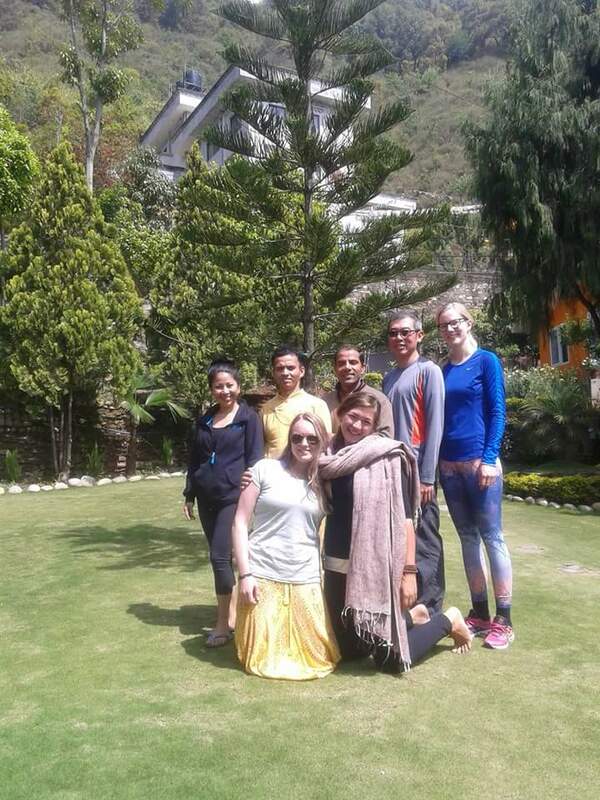 By 2016 she returned to further support and supervise ongoing YTT at the Nepal Yoga Retreat & Academy. That was her first time back after the devastating earthquakes of April 2015 and definitely not the last! Alex since, is twice a Vipassana old student, a Wim Hof fan, a 500hr + 200hr certified yoga instructor, and founder of aYOGAbeliever. She currently resides in Geneva, Switzerland where she offers, Ayurveda workshops, weekly lessons, Hatha yoga on Paddle Boards, and Alpine retreats. I designed aYOGAbeliever with the beauty of imperfections in mind to reveal the lotus in the mud. The mud being this fast past sensational world of fixed ideas, aversions and cravings we live in. The lotus: your inner perfection, your True Self. Life is not just about the “do’s” and “dont’s” the “should’s” or “shouldn’ts” and especially not the “coulds” and “couldn'ts”. It is about balance between what the heart needs and the pieces of mind we feed ourselves to emotionally and physically survive. My classes are intended to begin to wake up and observe the contradictions sewed into our daily reasoning. Strip the facade we protectively paint for ourselves. Rebel from within. Rekindle the spark that shown true regardless (of the outside). Move away from the conventions, on what people preach ought and ought not to be yoga,, stand on your own two feet and make anywhere your yoga studio. Make every day count leaving no time to worry nor anger. Burn like the sun work diligently with love and kindness. It is simple. Not necessarily easy. Resist the idea of difficulty: practice everyday the yogic lifestyle of equilibrium and equanimity and drop me a line!